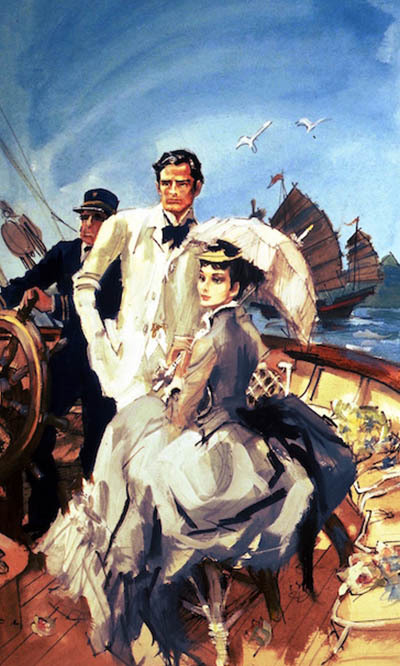 Dalma Wickham, having been in Athens to learn Greek, arrives at a British Steamer to return to London to find that they will not allow her dog, Twi-Twi, on board. Because she is turned away from the British ship, she walks round the quay and sees a most magnificent yacht. While she is admiring it, a bomb goes off at the end of the quay and the seamen leave the yacht to see what has happened. On an impulse, because she realises it is her last chance of getting Twi-Twi to England, she slips aboard the yacht and hides in one of the empty cabins. The yacht goes to sea and she is just beginning to feel hungry when Twi-Twi starts barking. 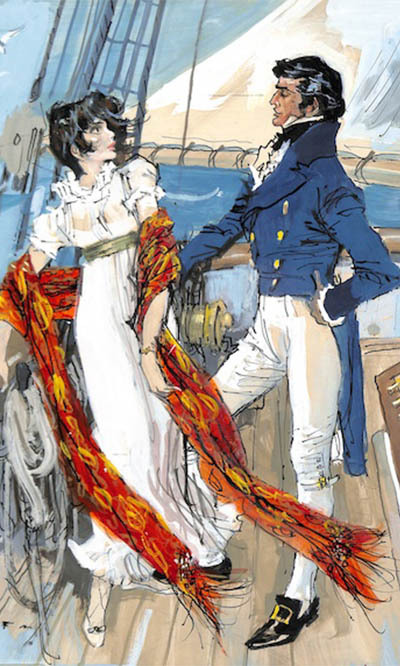 Dalma has made up her mind that the owner of the yacht must be very rich and old and, when the door opens, she sees a young man who is very handsome and he is the Earl of Ravenscraig. Because her father, Lord Wickham, is a trusted advisor to the Prime Minister and Queen Victoria, she recognises that there would be a great scandal if she travels alone with such a handsome man. Because she is herself so beautiful and interesting, the Earl says he will not turn her off his yacht, but he has a problem to resolve in Fez before he returns to London. It turns out that he is trying to rescue a young woman, the daughter of his secretary, who has been captured by evil white slave traders. 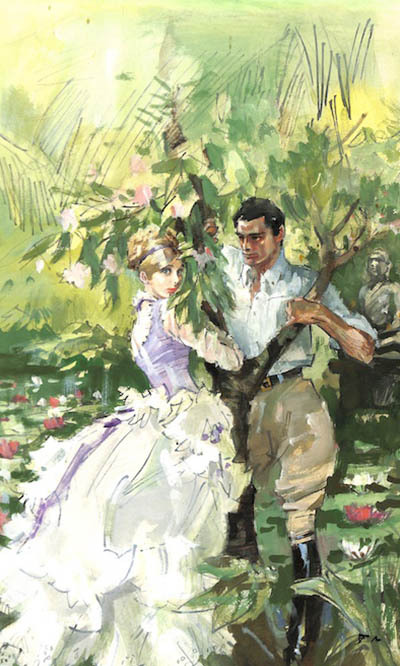 How Dalma helps the Earl in freeing the girl when she is about to be sold. 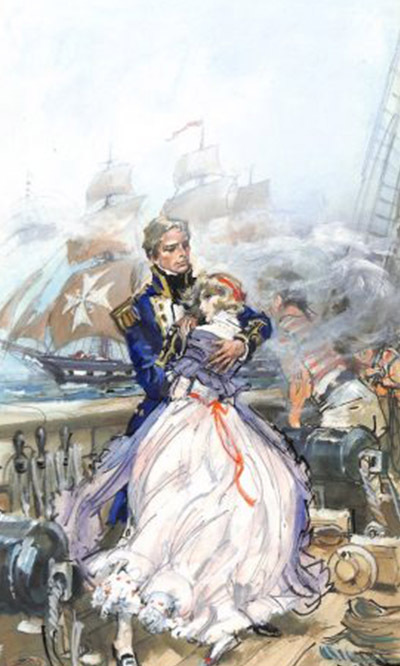 How they reach England in safety, but Dalma knows that she is already in love with the Earl. How she discovers that he is married to a Greek Princess and is faced with an appalling problem for which there is apparently no answer. 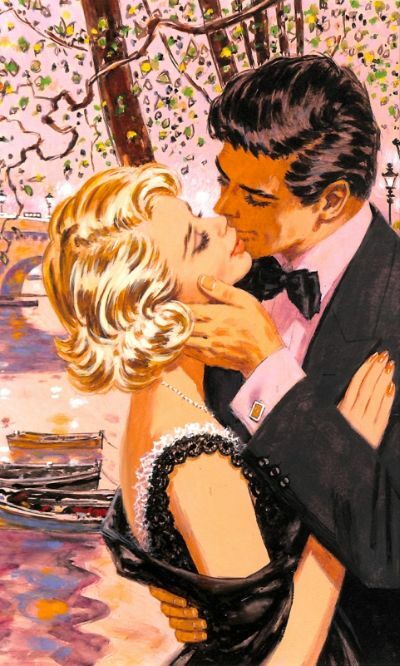 And how they both wish on a star that one day they will be together for ever is told in this exciting romance by BARBARA CARTLAND.